Issaquah Foot and Ankle Specialists (Issaquah) - Book Appointment Online! 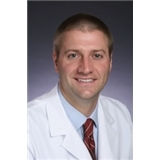 Board-qualified in foot and ankle surgery, Podiatrist Dr. Brandon Nelson has helped many people. Having developed advanced treatment protocols, he has an outstanding record of success in treating patients, even many who have not had success at other clinics. That's why their patients often say, "I wish I'd found you sooner." Issaquah Foot & Ankle Specialists use the latest treatments and technology to help get patients back on their feet, back to the activities they enjoy, or put that spring back into their step. The office features 3-D orthotics scanning equipment, Bio-mechanical gait analysis, x-ray, and much more including an on site surgery center. There is also an on-site pharmacy in the same building. If you are searching for a foot and ankle specialist to provide you with excellent care using the latest technology and treatments you have found the right place.